Every once in a while when you're "on track." 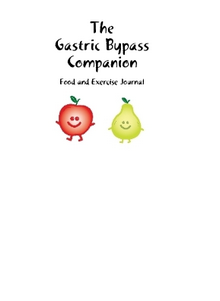 Keeping a gastric lap-band journal for as little as a week will usually make it crystal clear why you've stopped losing or started gaining weight. Just like taking notes in school, food journaling reinforces knowledge and awareness. 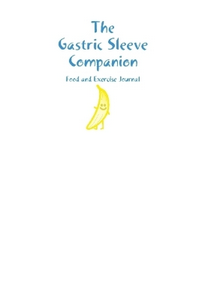 Owning a lap band journal can't make you lose weight, but using it is certain to help. Start keeping a lap-band food journal now. Are you eating 2-4 vegetables/day? Are you eating protein with every meal? Are you eating small amounts of healthy (plant) fat? Are you eating whole grain foods? Once you see on paper what you're eating, you'll have a clearer picture of which food groups you're lacking in (or eating in excess) and can then set small goals for yourself to improve your diet. For example, as a result of keeping a lap-band journal, you may see that you only eat 1 piece of fruit every few days. You then could establish a goal of eating 1 piece of fruit every day. When you grocery shop, you'd make sure to buy 7 pieces of fruit for the week in order to meet your goal. Every bite counts even MORE when you can only eat a small amount. As a bariatric dietitian, I'm very concerned that my clients are eating balanced diets. That's why I developed a gastric lap-band food journal that makes it easy to keep track of daily intake and check overall nutritional balance at a glance. Preview it here. ...even though it may be the last thing in the world you want to do. The personal accountability you gain from keeping a lap-band journal for a few days may be all you need to get yourself back "on track." Try it and see! When you're eating well and losing weight you might not feel like you need to record what you eat. It's not uncommon to feel like you have total control, you've beaten your food demons and like you're "above" using a diet journal when you're "on track." However, writing down what you eat when you're eating well and losing weight will provide you valuable menus to return to when you're not eating so well. You'll be able to look back and see exactly what you ate for breakfast, lunch, dinner, and snacks when you were losing, say, 2 pounds per week. You can then go back and follow those exact meals if ever there's a time when you "fall of the wagon." More weight loss surgery "tools."